February… The shortest month of the year, but also the most number of meetings in a month. The first of these meetings took place on the 5th, when we discussed the topic of “Natural Landscapes”. Cesar is a mathematics professor over at Williams College. For those of you who have been with the club long enough, you may recognize him as a former club member and judge. On Tuesday, Cesar gave a fantastic presentation on the topic of “Natural Landscapes”. 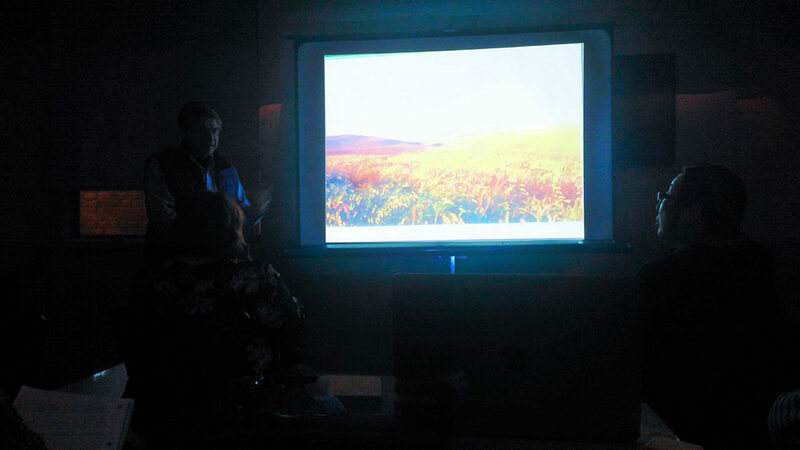 He discussed some of what typically makes a good landscape image, listed some landscape photographers as positive sources to be influenced by, and outlined what he as a judge might look for in our photos. What Makes a Good Landscape Image? Whereas there is always room for creative interpretation, in general a good landscape image will have a foreground element, an interesting background, and as deep depth of field. As much of the scene as possible should be in focus. Also, you should eliminate distractions to place attention on the main subject. It also helps to remember that light is often what may make or break an image. Observe a scene at different times of day and you will notice drastic changes in its mood/appearance. With a wide angle lens and a narrow aperture (Galen Rowell suggests 24mm at f/16), you can get pretty much everything in focus from about 4 feet to infinity. The foreground element not only adds interest to the image, but can also add a sense of a third dimension (distance) to the image. You’ll want to focus either on the foreground element or just beyond it, rather than at infinity. If you’re familiar with how to use your camera’s depth-of-field preview, this is the perfect time to use it. Though not specifically addressed at the meeting, I’d like to remind people not to neglect those telephoto lenses when shooting landscapes. If the moon or sun, close to the horizon, is going to be part of your image, keep in mind that the only way make them appear larger than life is with a telephoto. Also, whereas a wide angle will seem to stretch out the distance between the foreground and the background, telephotos have the opposite effect, compressing elements that are far from each other so they look much closer to each other. Avoid over sharpening. This is pretty subjective, but when sharpening an image on your computer, you will get to a point where it just becomes too crisp and begins to look overly processed. I’ve found that a good rule of thumb (not just for sharpening, but for most processing) is to move the slider to where you think it looks good, then pull it back just a bit. Also, flipping back and forth between a Before/After view can make over sharpening easy to spot. Repetition and patterns are very pleasing to the eye. 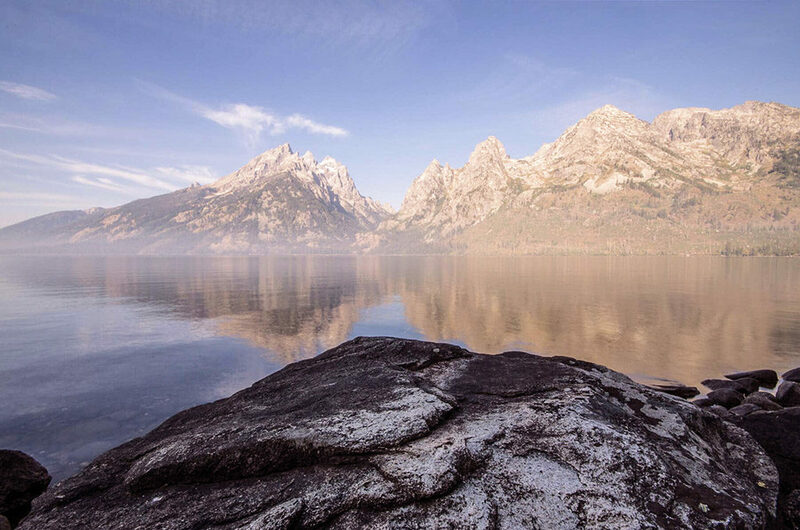 We all have landscapes in our photo libraries, but it’s not too late to get a few more. The weather has become a bit more tolerable than it had been a week or so ago, so go out and enjoy it while it lasts! February 19th is our next regular meeting. Mary McGurn will be returning to judge “Pets and their People”. Nothing is due that night. Come to look at the puppies and kittens! This date has been added to our schedule. Thad Kubis will be discussing and demonstrating the handmade 4×5 system he used in Monument Valley! This is an in between week for us, but it’s also a museum display drop-off/pick-up week. North Adams Winterfest – February 16th, 10am until 4pm. Ice and Snow Sculpting, horse-drawn wagon rides, and more. 10 Minutes of Fireworks – February 23rd. Wait. Fireworks. In February? Sweet!